Description The first late season Gala selection to be introduced. Autumn Gala was selected from a limb sport of Kidd's D-8 Gala by Harry Black at his Catoctin Mountain Orchard, Thurmont, MD. This is truly a late season Gala maturing four weeks after other Galas are harvested. 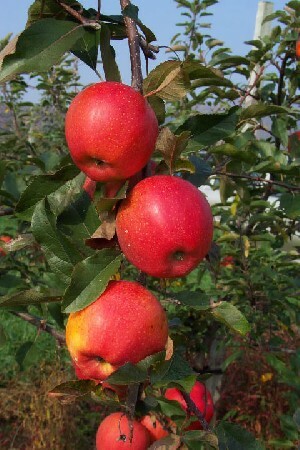 Fruit is typical Gala quality, very firm, with color slightly improved as compared to Kidd's D-8 cultivar. Autumn Gala provides the opportunity to extend the Gala harvest to late September and early October. Pollination Information Autumn Gala blooms in mid-season and will pollinate all other early blooming apple varieties, varieties blooming in the middle of the season, and also varieties blooming late in the season.